The image was taken on the 9th of May before war broke out between Houses 9 and 11. 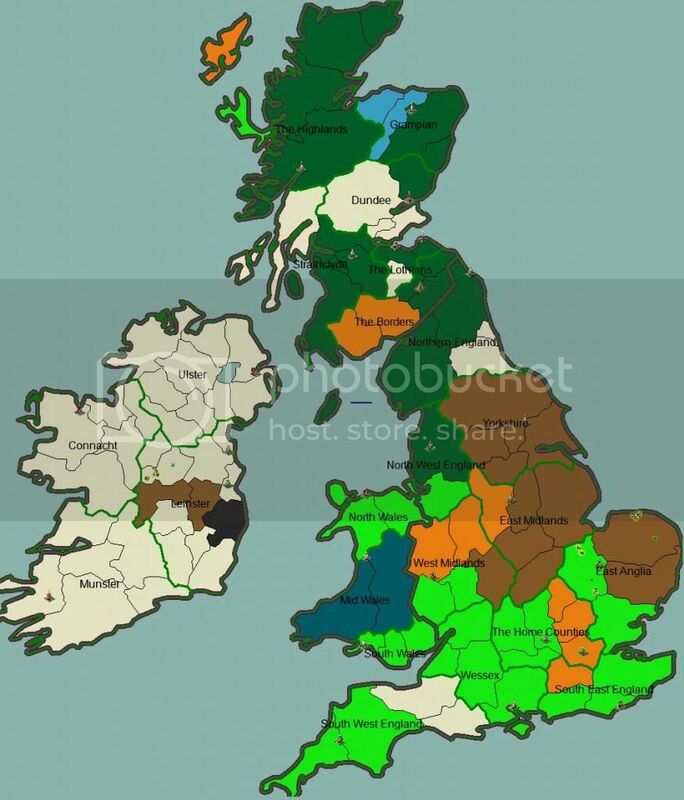 A few counties in Scotland and Ireland have changed hands, with the main change being East Anglia tuning Green due to the governor Nawatcrow20 having to leave for real life reasons. 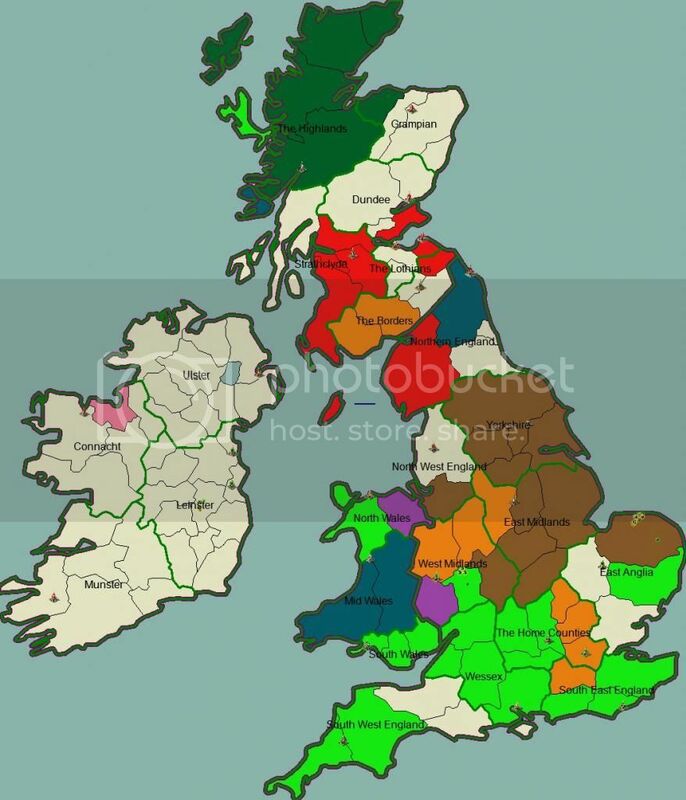 H9 had also flipped Cambridgeshire and Essex. The majority of H8 counties have flipped to H9. Norfolk has flipped to H17 from H9. Cheshire has flipped to H17 from H9. Northumberland has flipped from H10 to H14. Surrey has flipped to H4 from H2. 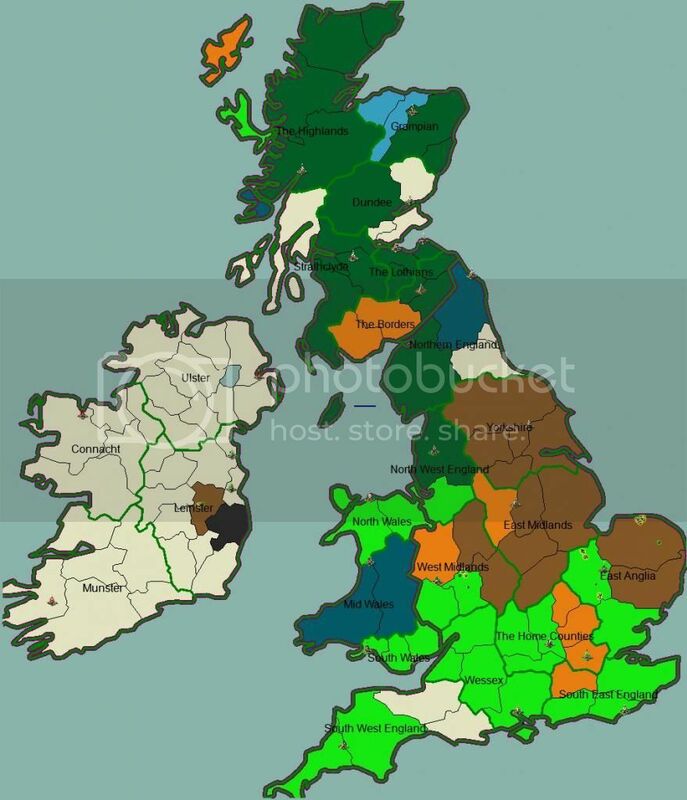 West and East Sussex have flipped to H4 from H7. 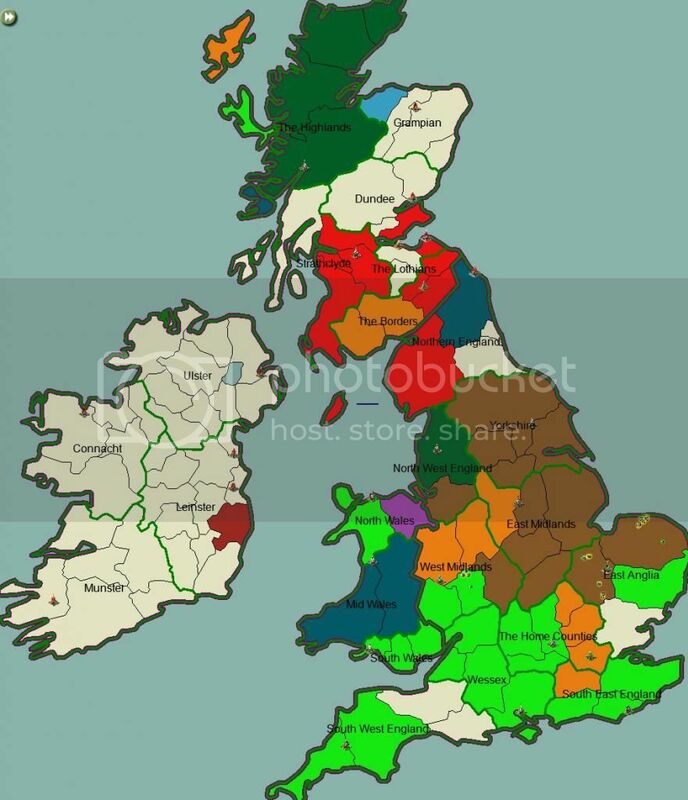 Herefordshire is now owned by H7 (The sheriff was neutral at the time of the previous screenshot. 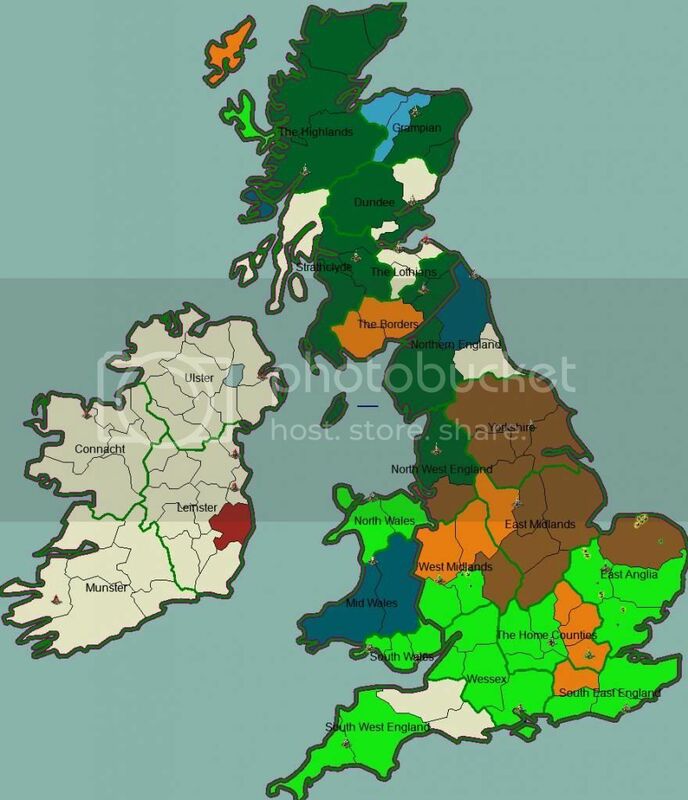 *EDIT* (31.05.14) H13 have flipped Lancashire, the province of North West England is now H17. 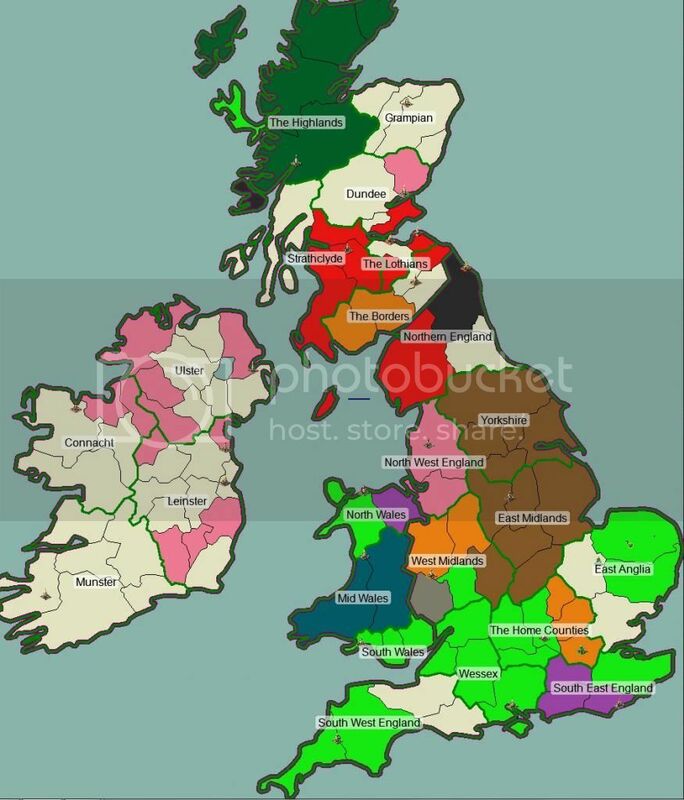 **SECOND EDIT** Cheshire was flipped to H9, flipping the province to H13. 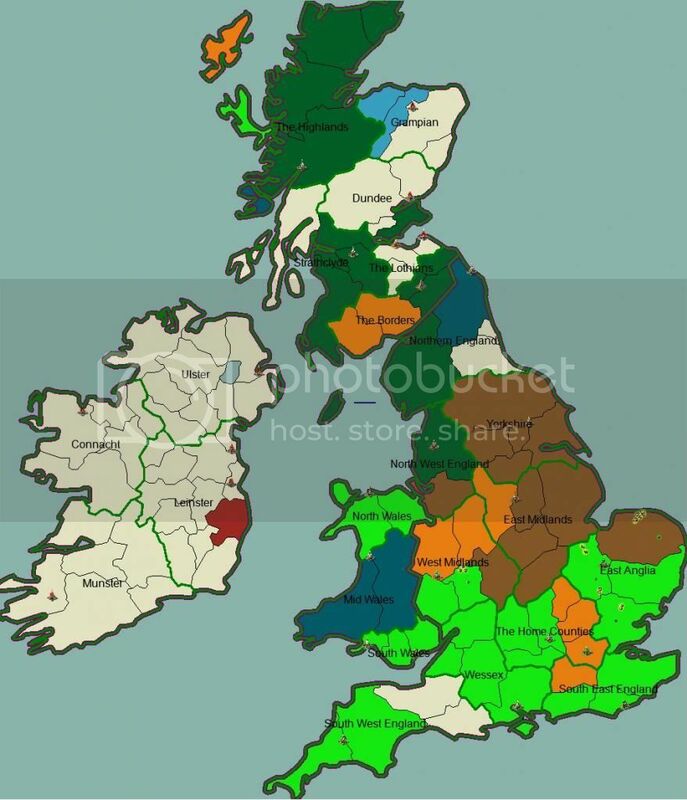 Cheshire has now been flipped back to H17, although the province remains under H13s control. 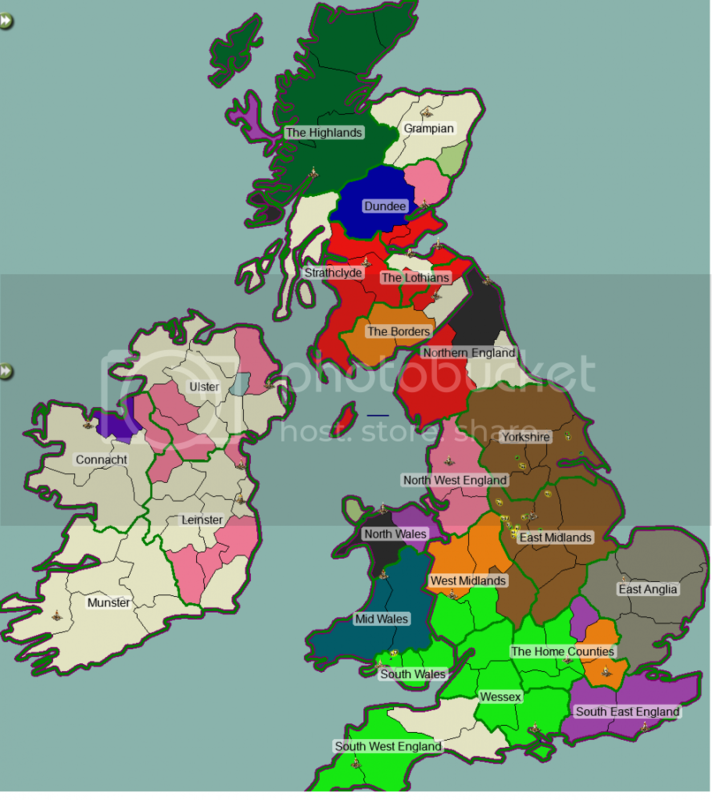 As previously written on the last update, H13 now controls Lancashire. Cambridgeshire has now flipped from H9 to H17. Although the Province of East Anglia is now owned by ckhanima of H17. All H1 land has changed to H13 due to a merger. Congratulations to H2 on their victory. H13 has flipped Perthshire from H9. H13 has flipped Aberdeenshire from H9. 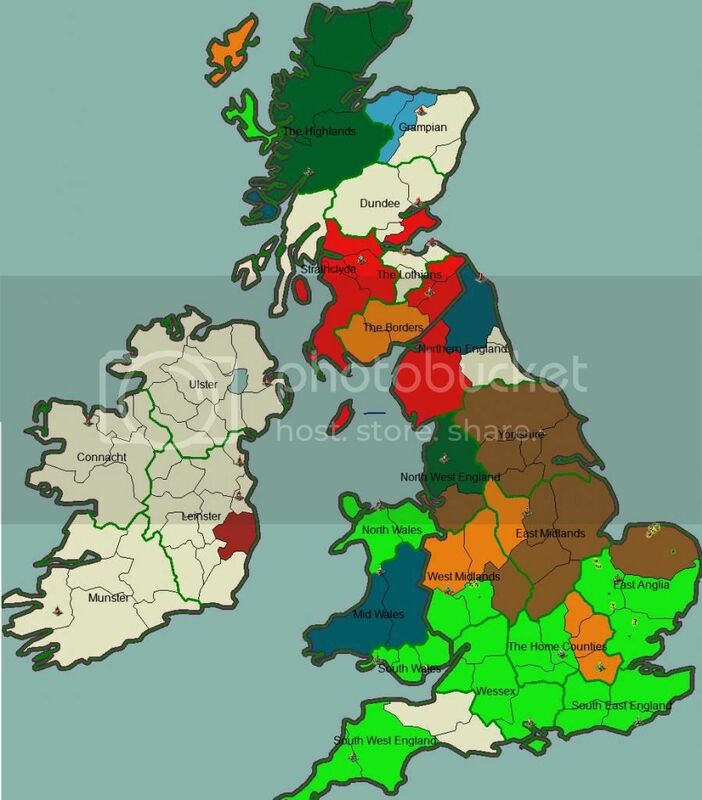 H13 has flipped Kincardineshire from H9. The Provinces of Dundee and Grampian have flipped to H13 from H9. The Country of Scotland has flipped to H13 from H2. The Country of Wales has flipped to H4 from H14. Fife has flipped to H9 from H13. Lothian, East Lothian and Peebleshire have flipped to H13 from H9. Kildare has flipped to H17 from H9. Wicklow has flipped to H10 from H16. 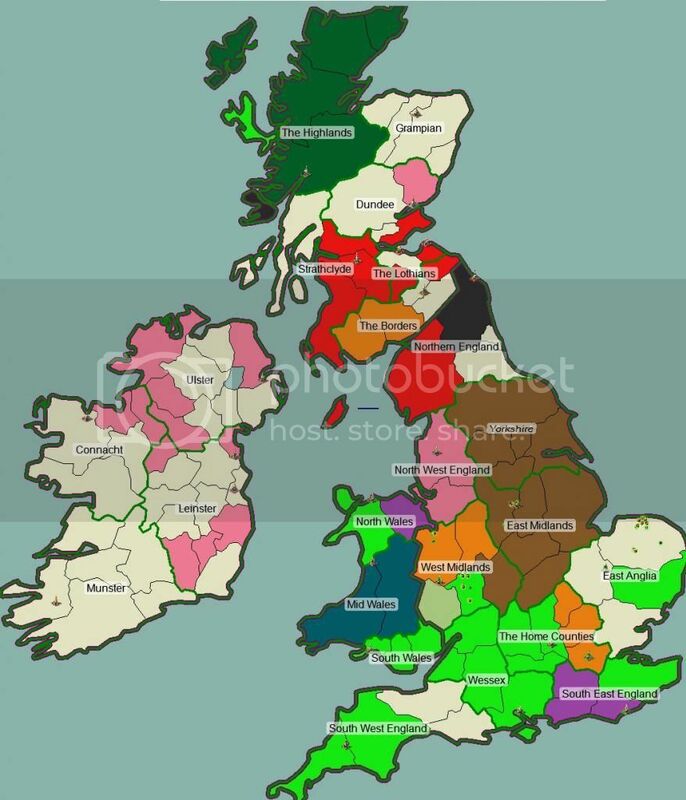 Cheshire, and the province of NW England have flipped to H4 from H17. Suffolk has flipped to H17 from H4. Staffordshire has flipped to H17 from H2. Staffordshire has flipped to H2 from H17. Perthshire has flipped to H9 from H13. Forfar has flipped to H13 from H9. Northumberland has flipped to H13 from H14. Arran has flipped to H13 from H9. Peebleshire has flipped to H9 from H13. Offaly has flipped to H17 from H9.